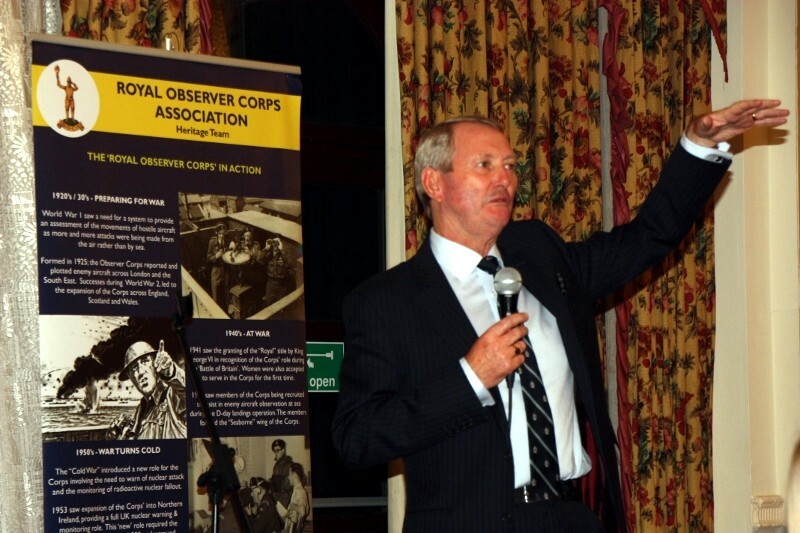 2013 Reunion & ADM - Royal Observer Corps Association This website was set up in October 2012 and is the new official site for the Royal Observer Corps Association. 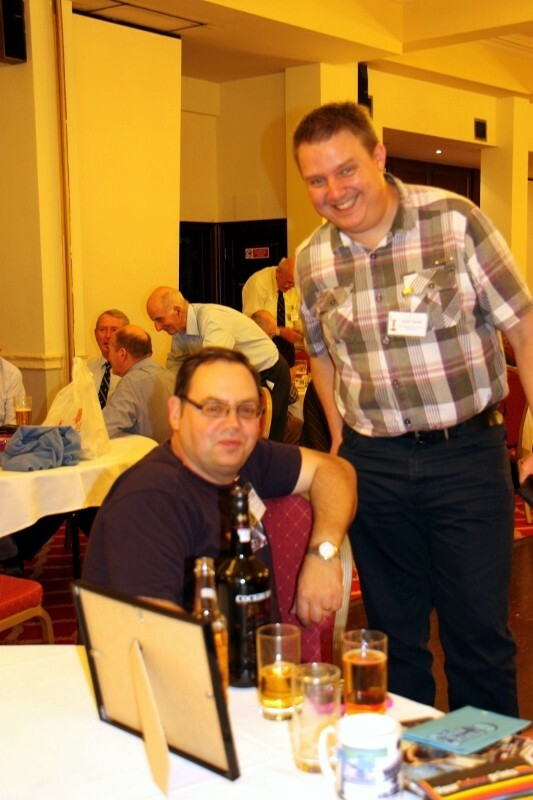 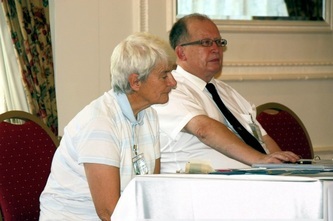 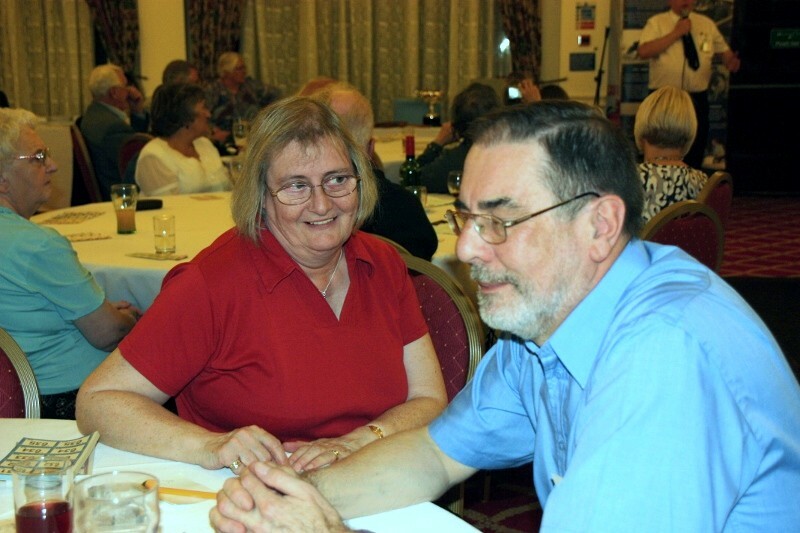 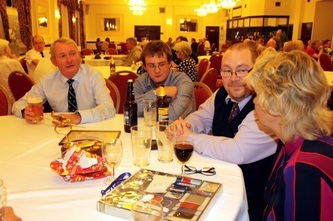 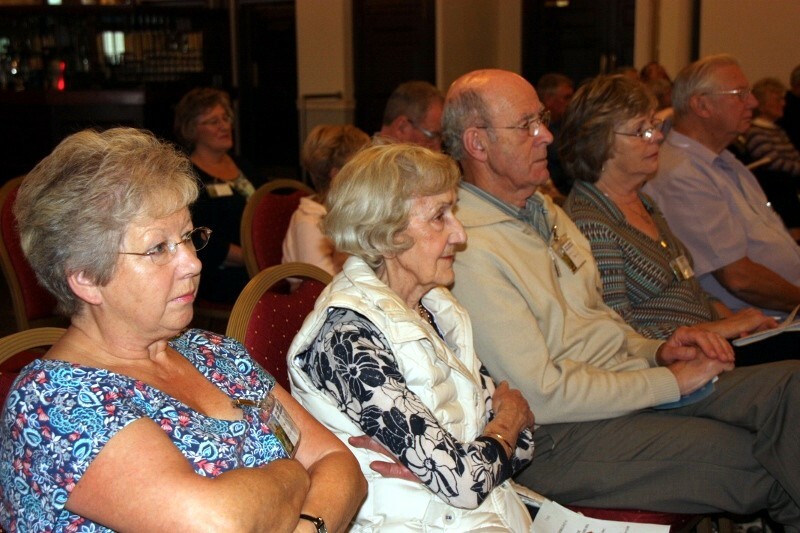 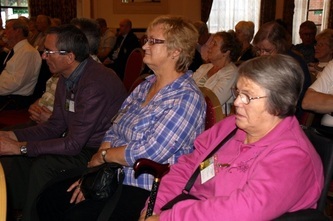 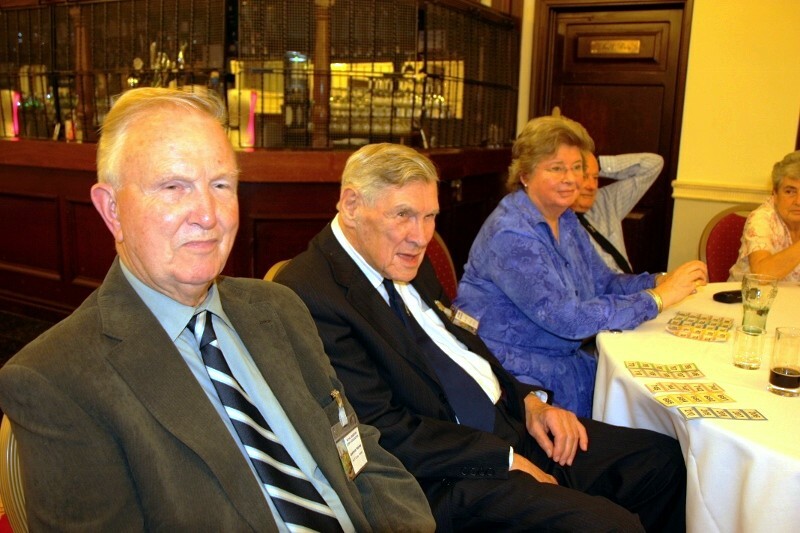 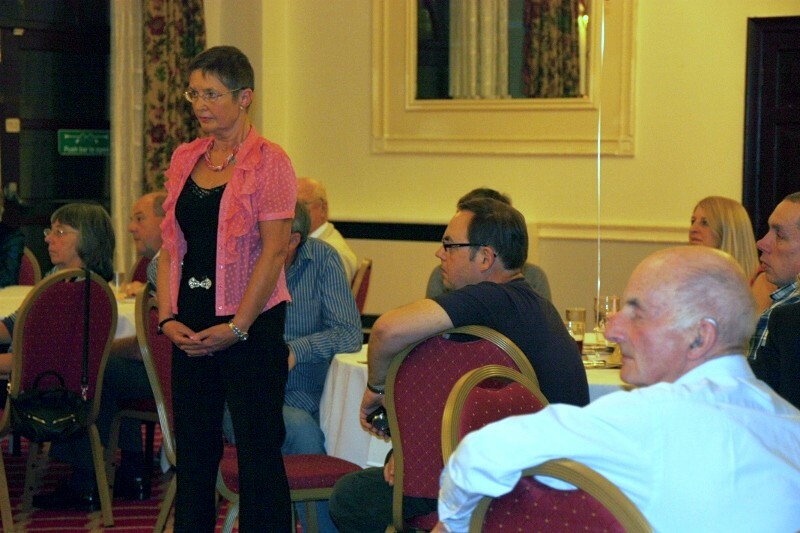 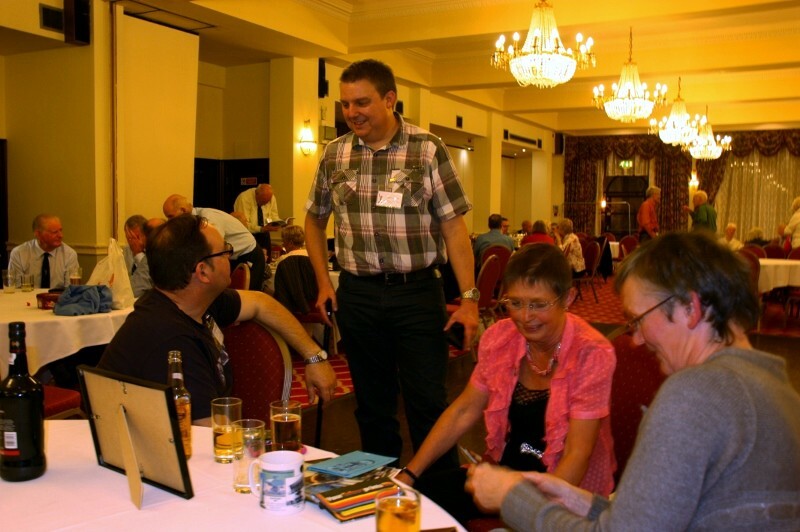 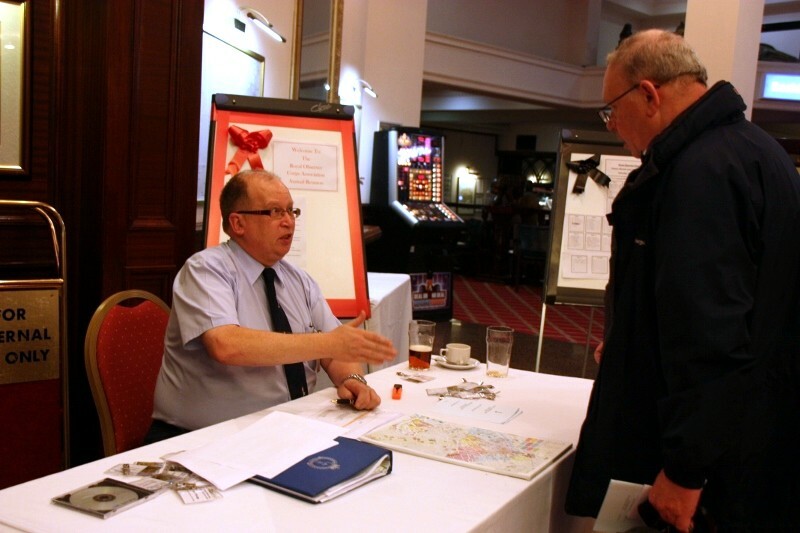 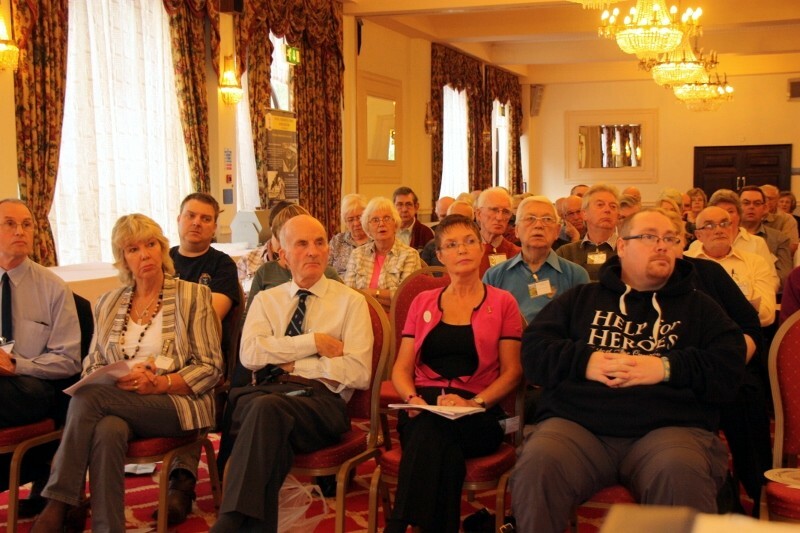 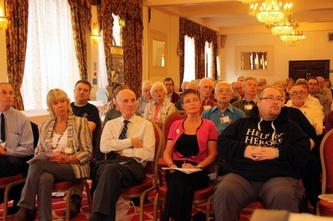 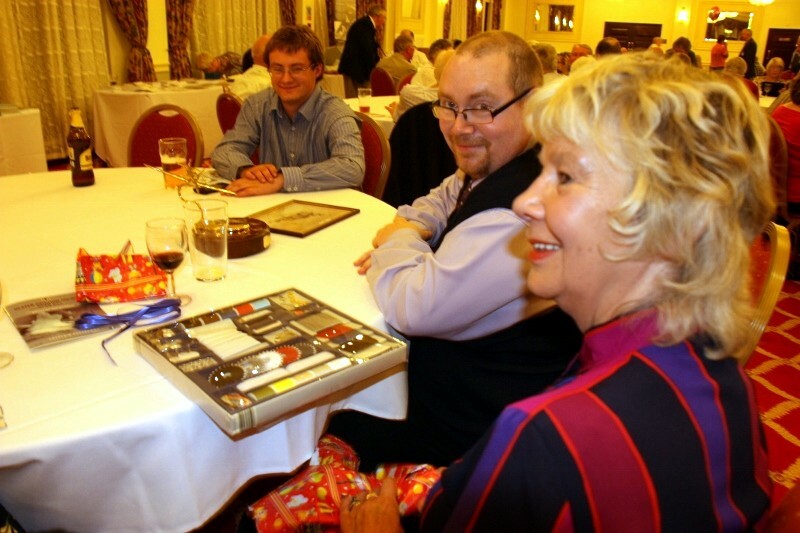 The 24th Annual Reunion, and combined Annual Delegates Meeting, took place over the weekend of the 11th - 13th October 2013. Numbers were down on previous years - just 120 members and friends were there this year. 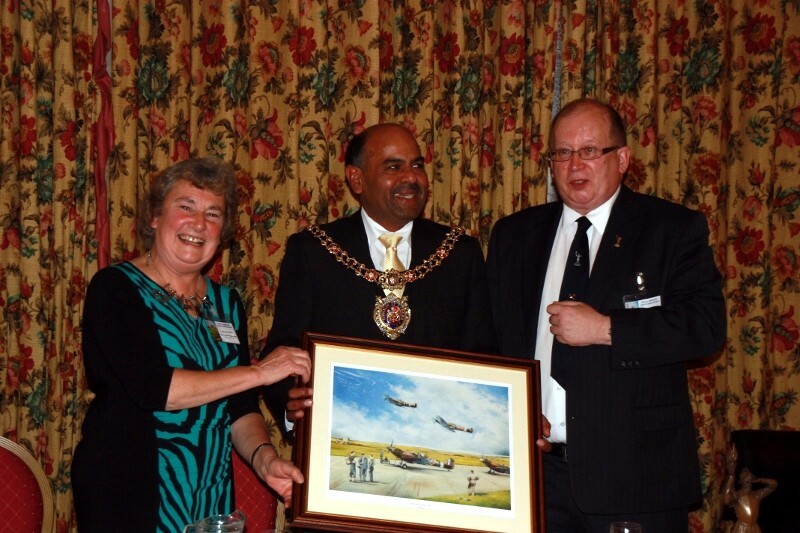 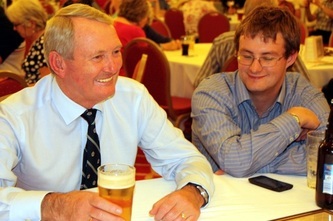 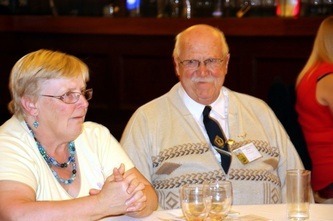 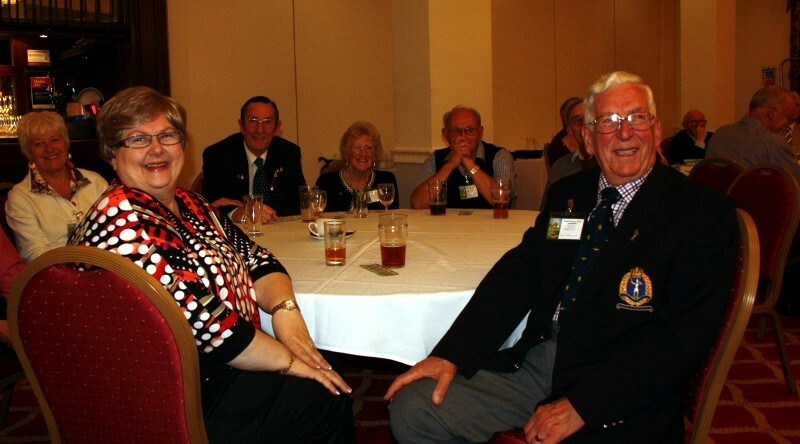 Our President, Air Marshal Cliff Spink, was unable to be with us on Saturday, but he did stay over on Friday night and was warmly welcomed by all. 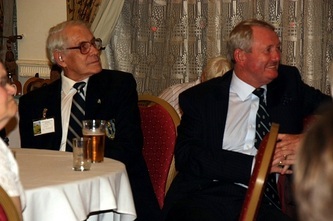 The programme was re-arranged so that the awards and presentations took place during the Friday evening gathering, in the Lancashire Suite. 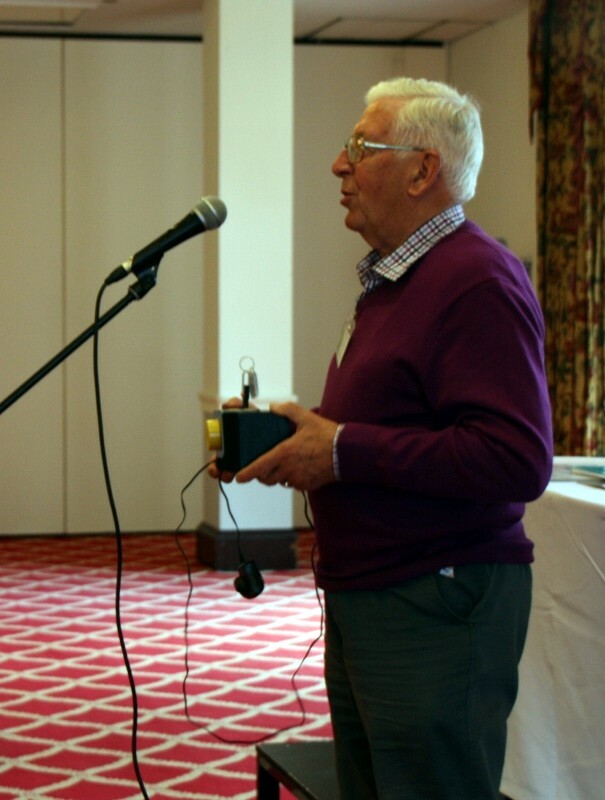 Our Chairman welcomed everyone and asked The President to present the awards and address the members, something that we have enjoyed many times in the past. 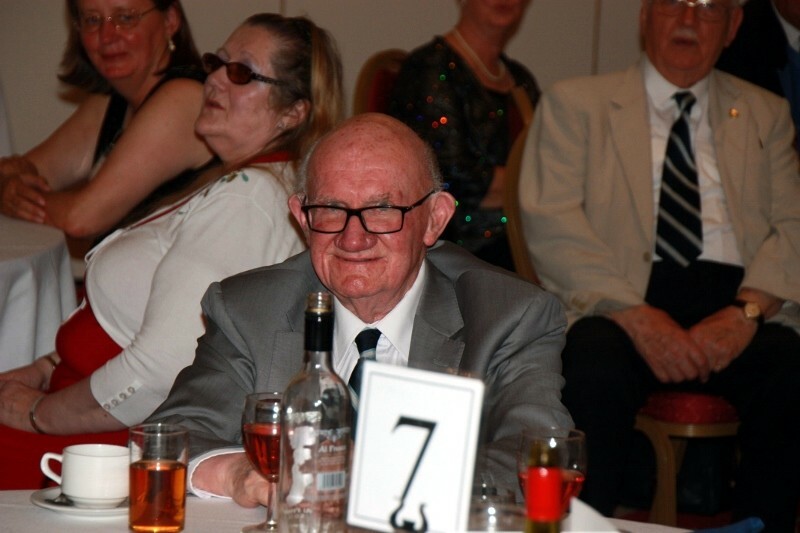 He didn't disappoint us this year, as he regaled us about an incident, during his early flying training days, when he had some difficulties with his oxygen mask. 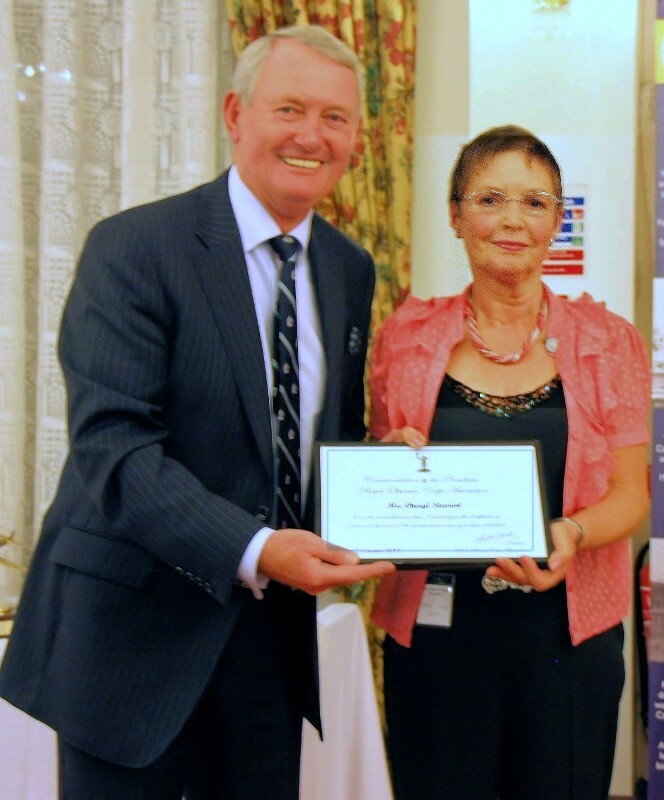 The first award of The Presidents Certificate of Commendation was presented to Jenny Major, of 8 Group Coventry, in recognition of her sterling work in bringing the new Memorial Stone Project to fruition. Everyone agreed that the ne stone, unveiled at the National Memorial Arboretum in May, was a magnificent achievement. Next up, to receive the Presidents Certificate, was Cheryl Stewart of Dundee Group. This was in recognition of the splendid work she has done in Scotland, to raise the profile of the Heritage of the ROC and the Association. The Jock Burnie Cup this year was presented to Gordon and Diana Johnson of Coventry Group in appreciation of their practical help to provide equipment and marquee for the National open day at Broadway Tower, for the assistance with the arrangements for the Memorial Dedication and for the annual Reunion raffles they have organised on behalf of the National Committee. 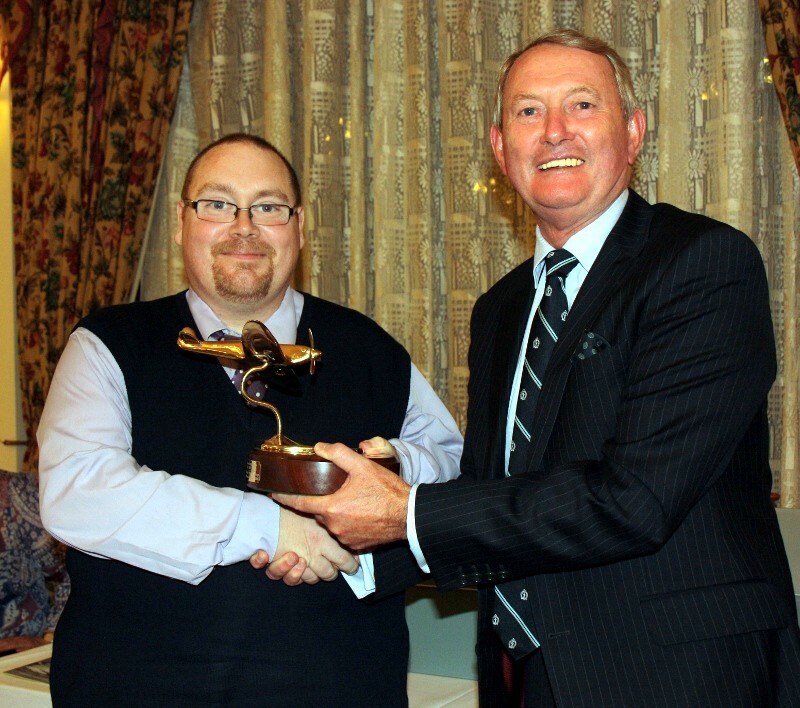 Finally came the presentation of a new trophy this year, the John Simmonds Memorial Trophy. It was first created back in 1988 by Edwina for presentation within 7 Group/Crew 2. After Stand-Down in 1991 she took it to the Bentley Priory NRC to be used for the NRC team prior to their stand down in 1995. It was awarded every year to a deserving member between 1991 and 1995. 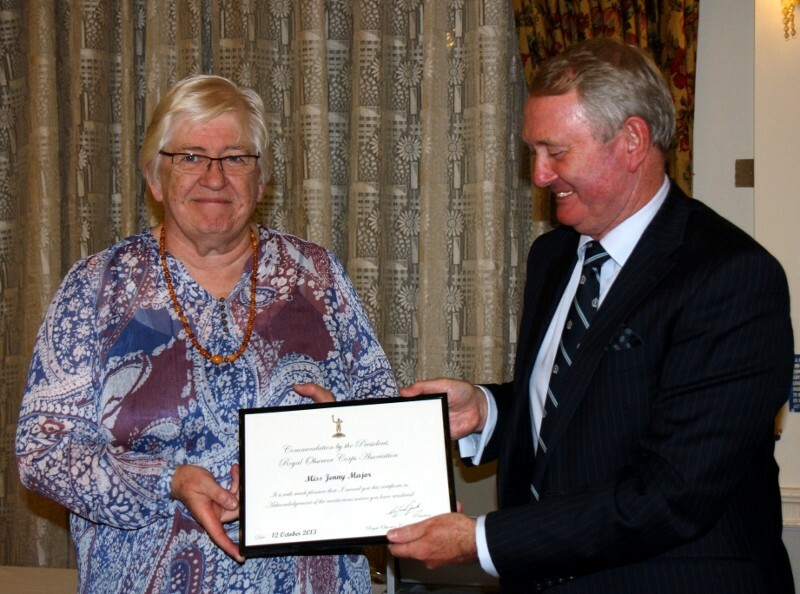 It is therefore appropriate for it to be a perpetual memorial to John’s support for heritage preservation. 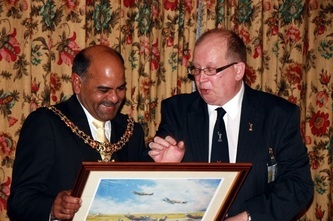 The first recipient is Simon Craine, 7 Group Bedford, in recognition of his commitment to heritage. 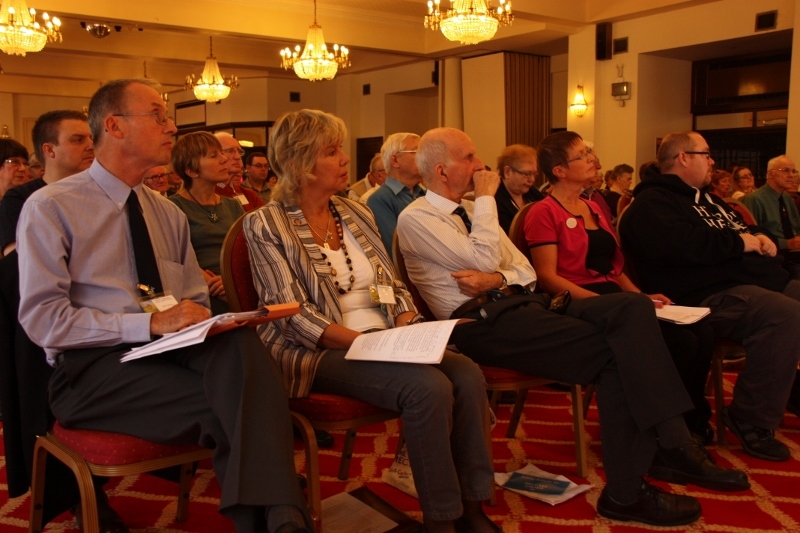 The Annual Delegates Meeting took place on the Saturday morning in the Lancashire Suite, with a varied programme of speakers and subjects. 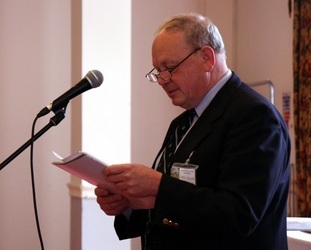 The Chairman's address and the Treasurer's detailed report on the accounts, were followed by several members of the Heritage team, led by Edwina Holden, who gave reports of the team's activities in Scotland, Northern Ireland, the Midlands and the South. 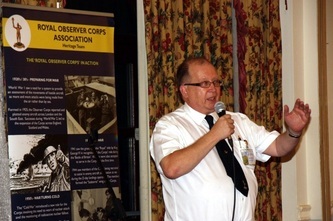 The website editor updated members on how the new website has developed since it was launched last year, and Chris Howard gave his annual report on the activities of the ROC Benevolent Fund. Tony Maasz, of 14 Group, described a new service, they have introduced, to send out recorded audio versions of their newsletter to those members who's sight is impaired. 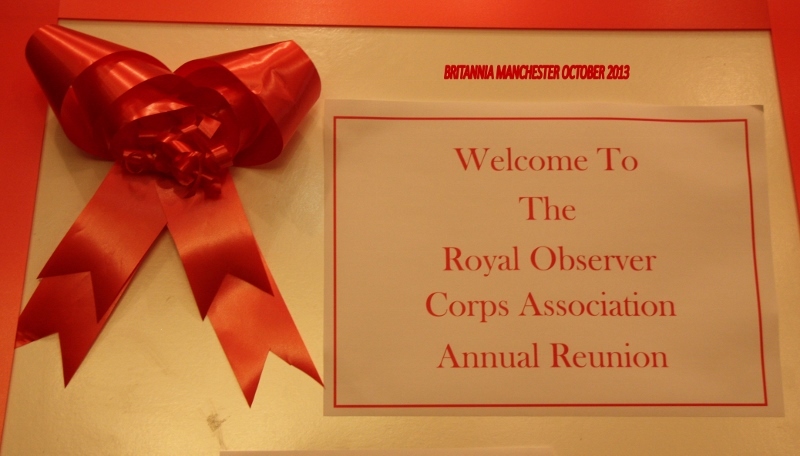 The Hotel's Lancashire Suite and Bar was reserved for our private use on Friday and Saturday evenings, and on Saturday afternoon we had the use of the Britannia Suite where members could relax, have lunch and catch up with news from friends. 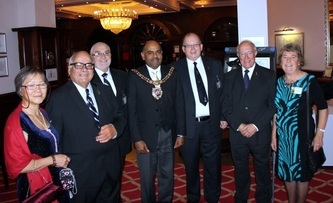 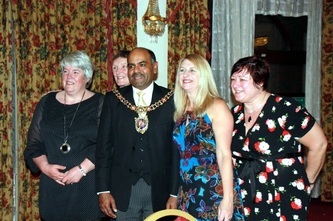 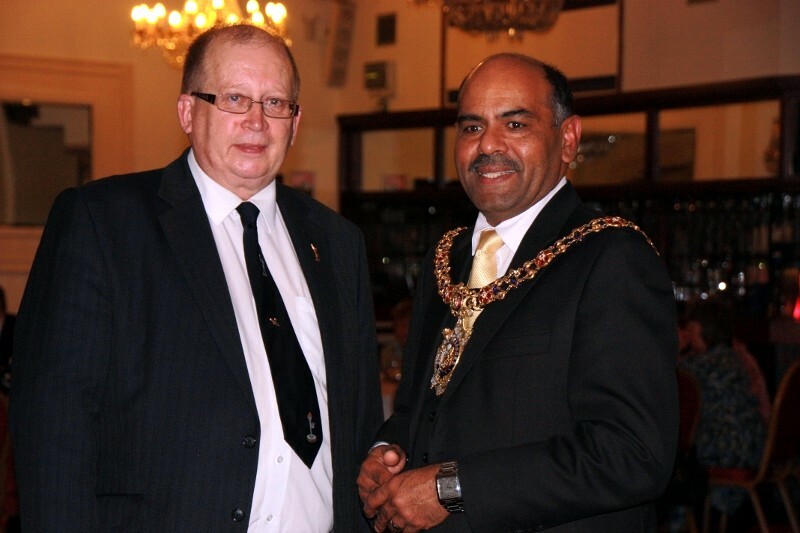 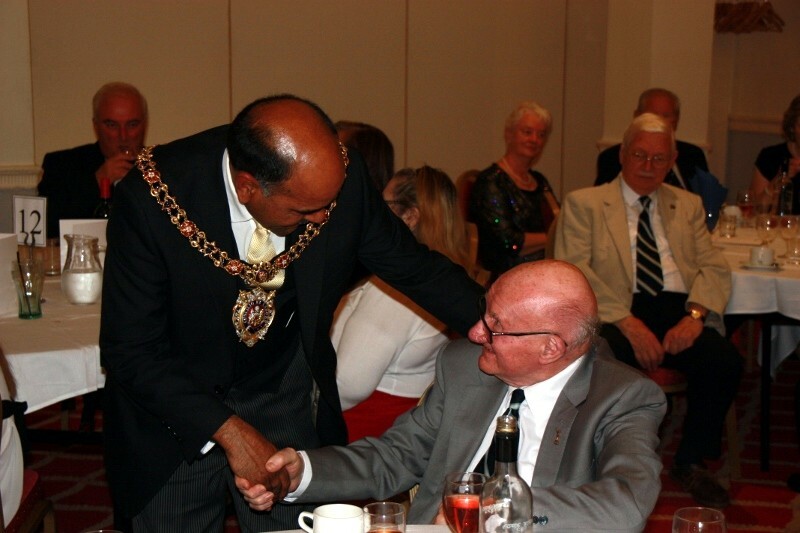 Our Guest of Honour, at the Gala Dinner, on Saturday evening was the Lord Mayor of Liverpool Councillor Naeem ul Hassan. Following Dinner the Lord Mayor circulated and chatted with members. 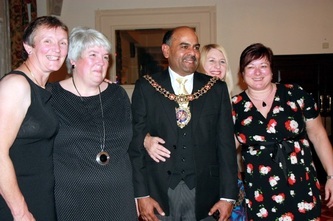 Two birthdays were being celebrated that weekend too, which caught the attention of the Lord Mayor. 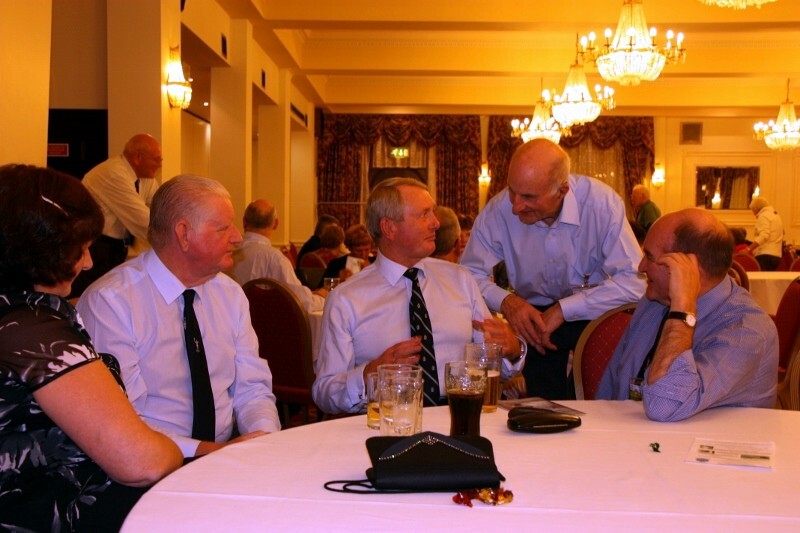 With another successful Reunion over, we look forward to next year when we return to The Prince of Wales Hotel in Southport.